It may have taken five years, but as far as the company is concerned, the effort has paid off: last week, Google announced the completion of its deployment of BeyondCorp, a zero trust IT and security architecture based on protecting identity and data, rather than looking to protect the perimeter of the organization’s IT hardware. BeyondCorp equates to a complete overhaul of Google’s IT and security architecture. It focuses on user/device repudiation through authentication, user behavior and identity analytics, device reputation and intelligence statistics, all of which feeds into a completely new ‘Access Intelligence’ framework to protect company resources. At the same time, the new approach removes any network controls or protections. The assumption is that the network is breachable, internally or externally, one way or another, so there is no point in trying to protect it. Rather that trusting the network to any extent, this zero-trust model puts all of its effort behind protecting applications, and the data they access. In this model there is no room for BYOD: only company-issue devices are managed in the central asset register, and only these are given any kind of access to corporate applications and services via a centralised Mobile Device Management facility. For companies that follow the zero trust model they should also encrypt all of their sensitive data and communications. At the same time as increasing security however, the BeyondCorp zero trust approach makes lives easier for Google employees, who can now work wherever they like without the need for tools such as VPNs. “We are removing the requirement for a privileged intranet and moving our corporate applications to the Internet,” explained an initial brief on the topic. The deployment has not been straightforward: indeed, it has taken the company five years with many lessons learned along the way — not least how to deal with edge cases caused, for example, by hardware reconfigurations such as moving a hard drive from one computer to another. Overall, the company has found itself better off. By moving to a zero trust model it is not only better protected, but it also provides greater flexibility to deal with future attacks. This move, from a company as large and as sensitive (from a vulnerability standpoint) as Google, could well be a game-changer in the industry, and we expect many other organizations to follow its lead. Quite clearly it should not be undertaken without a great deal of planning, but if Google is already experiencing the benefits, then other organizations can, too. 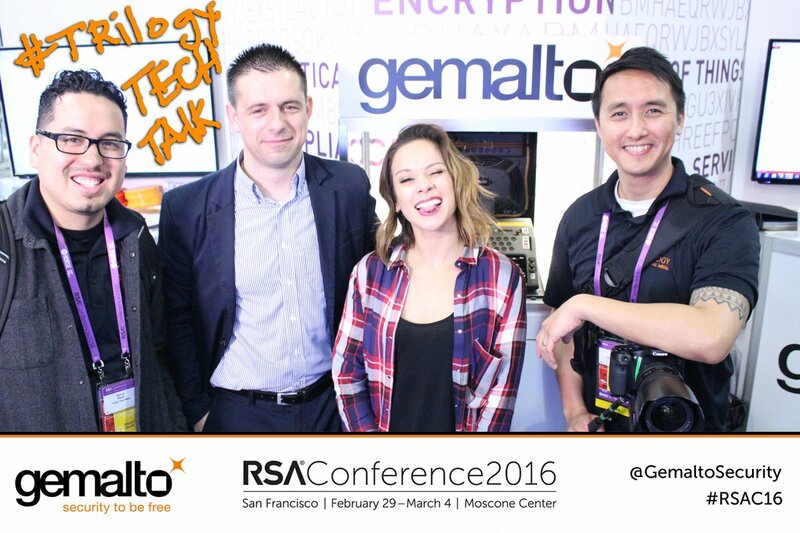 I had the pleasure of joining fellow information security experts and enthusiasts at RSA Conference 2016 (RSAC), and I wanted to provide some of my reactions to what I experienced at this year’s event. Over the last few years, one of the main themes at the RSAC has been about the need for a new approach to data security. Amit Yoran of RSA Security made this point in this year’s and last year’s keynotes, basically saying prevention, which relies primarily on defending the perimeter, has failed to stop the bad guys. Despite the fact that many security professionals have accepted the failure of breach prevention, the darlings of the show and the security industry in general are those companies focused on the perimeter, offering threat monitoring and threat intelligence products that do varying degrees of the same thing. They monitor the perimeter, detect potential threats and, if they can, isolate them. I raise this because it is interesting that the industry recognizes the problem with breach prevention, yet the companies that get the most attention are the ones focused on breach prevention. What troubles me is that the attention these types companies get blinds the industry to the greater problem companies have – they have no idea where all of their sensitive data is stored, how it moves throughout the organization, and how to best defend the data. Despite calls for a new mindset, many IT professionals gets caught up by the next new shiny thing. The simple truth is that we don’t need newer and better technology. We need a new mindset that focuses on the basics of data security and uses simple logic: Knowing what data you have, understanding what data is sensitive, where it is stored, how it moves, how it is accessed, and how to protect your data best in a new world where the perimeter no longer exists. If data moves everywhere and is stored everywhere, why would you logically invest the bulk of your budget on defending a perimeter that is as porous as Swiss cheese? I do agree with Amit that authentication and identity management need to move front and center to the discussion, but even more focus needs to be placed attaching security directly to the data itself, and the best way to do that is to encrypt it. Speaking of encryption, the battle between the FBI and Apple was a constant theme, on the show floor and in several encryption panels where the debate took center stage. While Apple is fighting the good fight, I do wonder what impact it will have on enterprises and how this topic is being discussed behind the closed doors of corporate boardrooms. Immediately after addressing the crowd at the conference, U.S. Attorney General Loretta Lynch sat down for an an on-stage interview with Bloomberg’s Emily Chang, during which Lynch addressed the Apple case directly. “…Up until recently, Apple maintained the ability to provide information to the government without any loss of safety or security of the data that they stored on their devices,” Lynch said. “But I think that one risk that we run into is making this all about Apple, when in reality it is about all of us. It is about how all of technology, how all of commerce, manages and protects our data. Chang followed up on that by summarizing what she believes to be Apple’s position in Lynch’s metaphor: Apple would have to create a key not only for one particular door, but the doors of hundreds of millions of people. However, while Lynch pointed to Apple’s willingness to comply with similar orders in the past, she and Chang went on to discuss the recent ruling by a New York judge that Apple did not need to comply with a similar order to help the Department of Justice access data on the phone of a drug dealer. And in regards to Apple’s past compliance, why would we accept that saying yes in the past prevents an organization from saying no in the future? Additionally, just because we have not had the ‘parade of horribles’ yet, that doesn’t mean it has been proven that compromising a technology company’s security measures won’t get the parade started. Lynch asserts that Apple could keep or destroy the iOS technology, but Apple CEO Tim cook has argued that there is no way to ensure this wouldn’t create a backdoor that could be exploited at another time by another party. Both sides have made their positions very clear, as we recently outlined on this blog, and it doesn’t appear they’re nearing a compromise, so it seems only time and U.S. legal rulings will dictate which side has the edge. 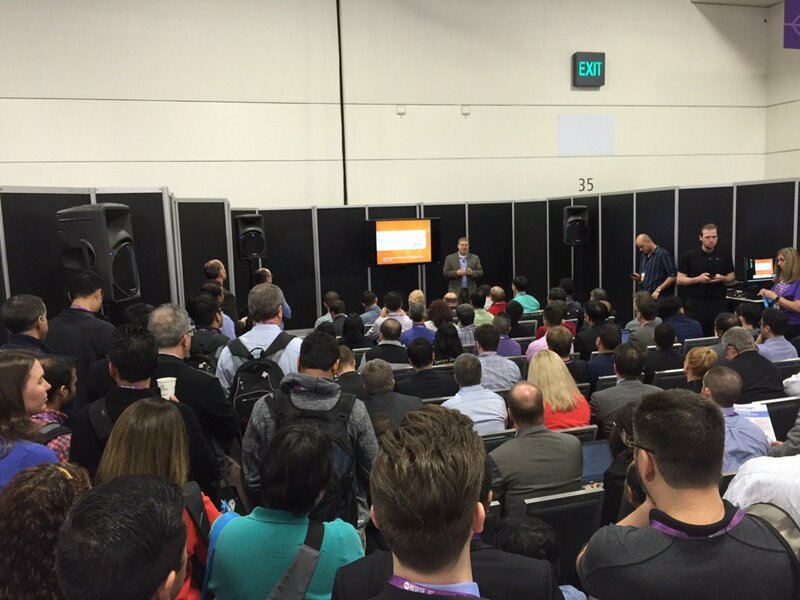 I do hope we see more discussions and panels about the Internet of Things at future RSAC events. If we think data breaches are a problem now, just wait until the billions of IoT devices that are projected to be made actually come online over the next five years. Gemalto’s David Etue delivered a very popular session titled “Explore the Security of IoT: Trust Comes First” which you can read about in this article by Investor’s Business Daily. To me, this is one of the more important longer term issues we will have to face both as consumers and as security practitioners. The issue of importance of trust in the digital world was addressed by Palo Alto Networks CEO Mark McLaughlin in his RSAC keynote. It’s very clear that companies are failing in their ability to protect their customers’ personal information. In fact, according to the Breach Level Index, 53% of all data breaches were the theft of personal information and identities in 2015. It’s no wonder that a recent study on data breaches and customer loyalty found 75% of consumers believe companies do not take the protection of customers’ personal data seriously enough. As our world becomes more digital, trust in the security of customers’ digital data will become a major factor in determining who consumers do business with. However, there are numerous challenges that businesses and consumers will face. First, as consumers, we are all sharing more and more of our information about ourselves in order to take advantage of more and more digital services, from online banking and social media to the cloud-based services where we store and share our digital lives with family, friends and coworkers. Second, we are exposing ourselves to more points of attack by cyber criminals because we are accessing digital services from our phones, televisions, watches, cars and the other connected devices in our homes. In order to be digital citizens, we have to surrender our identities and information in order to enjoy the full benefits of digital services that allow us to have ubiquitous access to information anytime, anywhere. As a result, the cloud-connected and mobile nature of our digital lives means the security of our information is dependent on the security (or lack thereof) of these devices, services and the companies that offer them. For businesses, the digital world has totally destroyed traditional concepts of data security. For the past two decades, companies have protected data by securing it in only one place – in the data center behind a firewall with some intrusion detection, and threat monitoring technology. Basically, security has amounted to building a wall data and maintaining guards to see who is trying to compromise the perimeter. This mindset no longer works in a world where the cloud and mobility have totally redefined traditional notions of data residency and accessibility. Data is now fluid, living everywhere and accessed from anywhere. Now let’s look to the future of this digital world, a scenario for greater digital mayhem, and what it could mean for trust. We have all seen different types of attacks on networks, but the one thing they have had in common is that they have all been an attempt to do one thing: steal data. A group of cyber thieves break into a commodities market or gain access to market moving data, and rather than just stealing the info they change it in a way in which they can reap millions of dollars on the financial markets. The scary part is that no one knows this has happened and it takes one or two years for the malfeasance to be discovered. Imagine the impact on trust if such a manipulation took place on a massive scale in our financial system. That is why when everything is digital, trust in the integrity of that data will matter most. If that breaks down, people may not want their money to be represented by a series of digital numbers in a database. Rather, they may opt for paper money stuffed in a shoebox under the bed. As I mentioned above, one of the things we looked at during RSAC was the Breach Level Index findings. You can learn more about last year’s data breach trends by downloading the complete 2015 Data Breaches Report. You can also check out our Breach Level Index 2015 infographic to quickly review some of the most notable breach statistics of 2015. We hope that you’ll also connect with us on Twitter via @GemaltoSecurityto discuss your thoughts on this year’s conference, the Breach Level Index findings, information security news, and more.